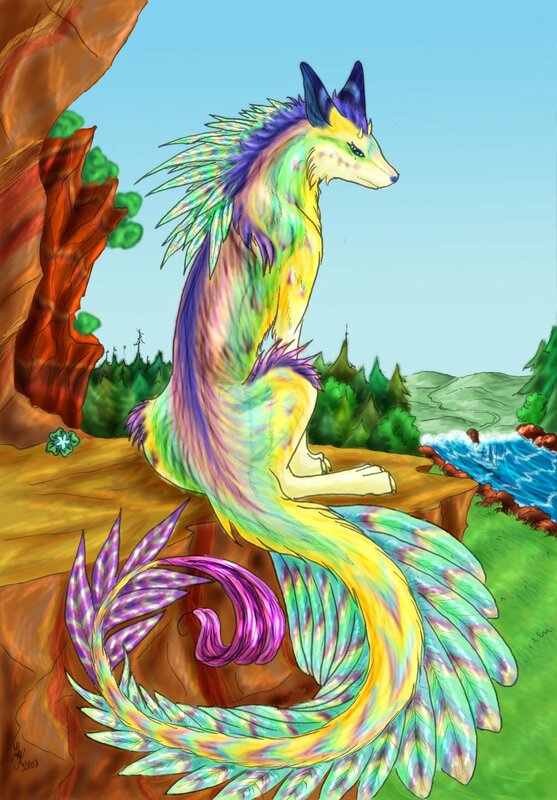 this is one of my newest charas, a dragonwolf lady called "Rhâni"
at the moment it is the "festival of moon" so she had this wonderful colored feathers at neck and tail. she already has wings, but i leave them out, otherwise you just couldn´t see anything from the background. the festival of moon is celebrated every seven years and the beginning of a new generation. Finally, I find an artist even better then Amber- moterpants on Deviantart... Gorgeous! !